Surprise! 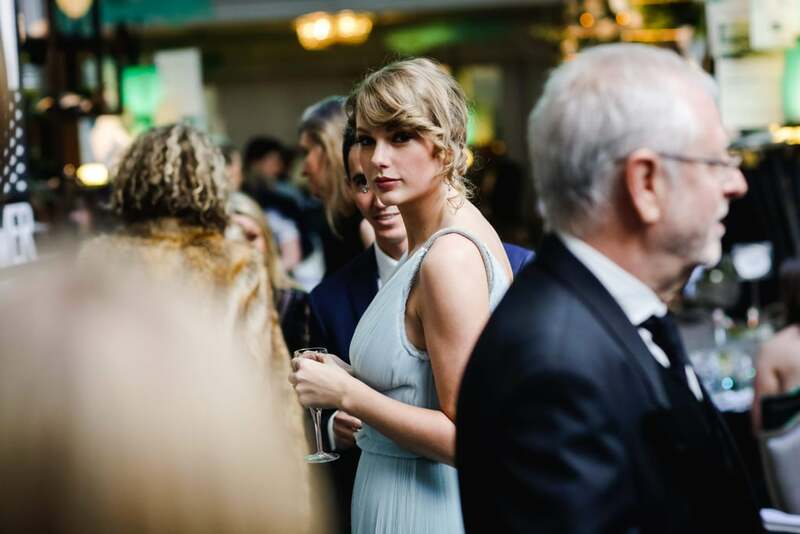 Taylor Swift was totally at the BAFTA Awards to support her boyfriend Joe Alwyn’s new film, The Favourite. But she didn’t walk the red carpet. Rather than choose to make an official public appearance at a ceremony on the same night as the Grammy Awards (Reputation was nominated for best pop vocal album), Taylor snuck into the BAFTAs in her plunging Stella McCartney dress, complete with a layer of chiffon pleating. The star swept up her hair to reveal drop earrings and she wore delicate rings to complement her baby blue look. Ahead, check out Taylor’s romantic post on Instagram and see her gown spread elegantly around her in all its glory.